If you’ve had military training or worked as a former police officer, companies will have need of your skills and talent to provide dependable security for their facilities. But you need a Security Supervisor resume that will win the confidence and assurance of potential employers. It will all come down to how you package your skills and qualifications. Other candidates will likewise do their best to impress the Hiring Manager. Your first objective is to get the interview and it all starts with the resume. For your benefit, we have come up with an effective format for a Security Supervisor resume sample that you can use as reference for your own. Address: 2365 Brawne Avenue NW, Olympia, WA. Current Job: Security Supervisor; Strong Arm Security Services, Olympia, WA. Former police officer with 12 years experience in law enforcement and 8 years providing supervision of security personnel for a variety of companies. I am interested in sharing my vast experience, expertise and knowledge in technology-based surveillance equipment and monitoring devices to Trident Banking and Financial Services. 12 years experience as police officer. 8 years experience as Security Supervisor. Associate Degree in Security Management. Highly proficient in employee monitoring software – Teramind, Veriato 360 and Activity Monitor. Highly knowledgeable and experienced in setting up surveillance equipment. Great communication skills; ability to articulate instructions to subordinates clearly and encourage feedback. Critical Thinker; ability to assess a situation and come up with the appropriate response within an appreciable amount of time. Strong Arm Security Services; Olympia, WA. 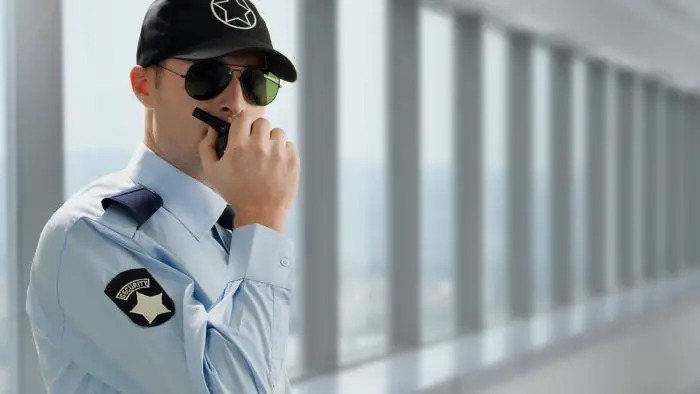 Supervises a team of 40 security officers, 20 lead officers and 200 security personnel that will be assigned to the client’s place of work or designated area. Ensures that all orders and instructions are followed; scheduled rounds are completed with fully accomplished reports filed. Recruits, evaluates and selects new recruits; trains and orients all personnel on security measures, policies, guidelines and new developments. Regularly inspects sites to oversee performance of all security personnel and meets with subordinates to discuss current issues and concerns. Conducts inspection and evaluation of client’s designated area; makes recommendations on security equipment to be used and/or improvements that should be made on current infrastucture. Odyssey Grand Casinos; Las Vegas, NV. Tasked to observe and report suspicious activities and incidents; provided security for all guests and casino personnel. Conducted periodic patrols to check for irregularities and to inspect working condition of all fire prevention and fire fighting equipment. Authorized to preserve order; may act to enforce regulations of the casino to further ensure protection and well-being of guests and personnel. Regularly patrolled key areas of the casino on foot or on vehicle; routinely checked for potentially unsafe conditions, security breaches, unlocked doors, mechanical problems, damaged equipment and presence of trespassers. Reviewed employee monitoring devices and CCTVs in designated areas; looked for suspicious activities, questionable behavior and persons of interest. Fantasy World Amusement Park; Orlando, FL. Supervised a team of 15 security officers and 60 security personnel that is tasked to oversee and ensure safety of all Fantasy World guests and personnel. Regularly inspected all safety and security equipment that have been installed in designated areas of the park to make sure these are 100% functional. Conducted patrols on the park grounds; focused on spotting questionable activities and potentially dangerous situations. Coordinated and collaborated with the park’s Safety Engineer for the purpose of constantly improving and updating security and safety features. Reviewed and monitored all footage taken from surveillance equipment if there are untoward incidents or reports of criminal activity. Police Academy Training – Olympia Police Department, Olympia, WA., 1997. Hobbies include shooting range, cross country and boxing. Employers want a candidate with a Security Supervisor skills list that shows he/she has the ability to design, organize and implement security measures within their premises. It takes years of training, learning and hands-on experience to develop the skill sets and qualities that will make you the best possible Security Supervisor candidate in the talent market. Education. You can still become a Security Supervisor even if you only finished high school or the equivalent. However, you should have experience to backup your lack of educational attainment.As you have read in our example resume for Security Supervisor, the candidate Steven is a former police officer with 12 years experience in the force.Many potential companies prefer candidates who have had direct experience in the military or law enforcement. Certifications. There are no certifications or licenses required to become a Security Supervisor unless specifically requested by the employer. For example, there are some companies that want candidates who are certified in first aid or as an Emergency Medical Technician (EMT). Proficient in Technology. Security Supervisors are known for making their daily rounds on foot or on vehicle patrol. But you should also know how to utilize and analyze high tech digital surveillance equipment.These types of technologies are predominantly used in banks, gambling casinos, construction sites, large scale department stores, hotels and amusement parks.Other tools that you should be familiar with are CCTVs and employee monitoring devices. Critical Thinking. Sometimes the result of an outcome can happen within a few seconds.Will it result in harm and damage to property? Critical thinking is a very important quality to have as a Security Supervisor because you need to assess a situation before it blows up to large scale problem.Again experience is very important because it will give you the intuition to know if an activity can be considered a clear and present danger. Good Interpersonal Skills. As a Security Supervisor, you will be in charge of a team of security personnel. You should know how to optimize their abilities by encouraging them to give their best every time they are on the job.One of the best ways to do this is by having open communication channels with them. You should relay instructions to them but give them the opportunity to share opinions and suggestions that will make further reinforce security measures. Take a more straightforward approach when writing your Security Supervisor resume objective. Tell the employer why the company should hire you and what you can do for them. We took the simple, no-frills way to composing out sample resume objective for Security Supervisor. First, we highlighted Steven’s biggest strength which is his experience. 12 years in the police force and eight years as a Security Supervisor collectively adds up to 20 years experience in law enforcement and security. Not many applicants will have this level of qualification. Finally, we rounded off Steven’s qualifications by disclosing information that he is also well versed and updated in high tech surveillance and monitoring equipment which is apparently important for Trident Banking and Financial Services. Potential employers would want to know what you can do for them and this means they will be focusing on your work experience. Use the reverse chronological as your Security Supervisor resume format. When you structure your experience and education with the reverse chronological format, you start out with the latest or current attainment before moving backward to your earlier years. The reason for this is to get the Hiring Manager, who usually only scans applications, to come across your strong points right off the bat. For every strength that catches his/her attention, the more the Hiring Manager becomes encouraged to get you invited for the interview. Take up Courses in Related Disciplines – You cannot be a Security Supervisor if you don’t have a fundamental understanding on how to set up, run and monitor security systems. Become Proficient in Technology – Technology is an area you can specialize in as more and more high tech security systems are coming out in the market. Review Your Previous Employment Experience – Find out if your current level of experience shares common responsibilities with the job of a Security Supervisor then emphasize these in your Work History section. For example: managing a team or a department, conducting quality assurance checks and random audits on systems. The key in setting up effective security systems is to assume the worst case scenarios. This helps you stay ahead of potential threats before they happen. The same way of thinking can also be applied to your resume! Never get complacent and read through our Security Supervisor resume writing tips. Substantiate Career Growth – One of the signs of career growth is when you’ve been assigned a larger group of people to manage. As you have read in our sample job description for Security Supervisor, Steven now handles 260 people. Whereas early in his career, he only managed 75. Substantiate growth with real numbers. Cover a Wide Skill Set – Security isn’t just patrolling the premises and looking out for potentially dangerous situations. There’s a lot that goes on in between and behind the scenes. Include these details in your job description to further differentiate and expand your skill set. As a Security Supervisor, you will find yourself updating your knowledge in security systems. Make sure these changes will be reflected in your Security Supervisor resume. If this Security Supervisor resume example wasn’t sufficient for you, you are free to review some other samples and templates from our site. Browse to some related resumes below and find your inspiration.